Blues singer and legend Bessie Smith was born April 15,1894 in Chattanooga, Tennessee. Smith and her brother Andrew sang and danced on the streets of that city to raise money for their impoverished, fatherless family. Smith’s father, a laborer and part-time preacher, died when she was very young. Smith lost her mother and another brother at the age of 9. 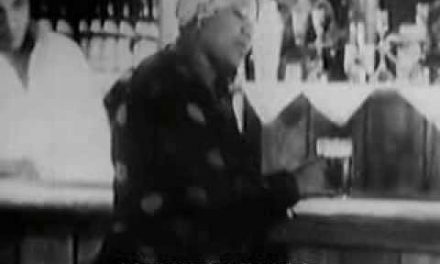 In January 1925, two years after her recording debut, she recorded W.C. Handy’s “St. Louis Blues” with Louis Armstrong. The record became a national sensation. At the height of her career, she was one of the best paid black entertainers in America and in addition to Armstrong attracted sidemen like Coleman Hawkins, Fletcher Henderson, and James P. Johnson. She became the most popular female blues vocalist of the 1920s and 1930s and is considered among the greatest singers of her era. Bessie has had a major influence on all subsequent blues and jazz vocalists. W. C. Handy, one of the all time most influential songwriters in American history, holds the esteemed title “Father of the Blues.” The Memphis band leader was the first to gain national attention for his compositions of the regional genre. He is therefore credited with establishing the blue’s contemporary form.